Gorgeous and modern 2BD/2BA condominium in a quiet cul-de-sac in North Hollywood! Boasting 1,048 sq. ft. of living space, this unit features recessed lighting, crown molding, granite counter tops, and gorgeous tile work throughout the home. With an open floor plan, the floor plan flows nicely from room to room, providing a bright but cozy space. The master bedroom features an elegant lighting fixture, a large walk-in closet, and a private master bathroom. 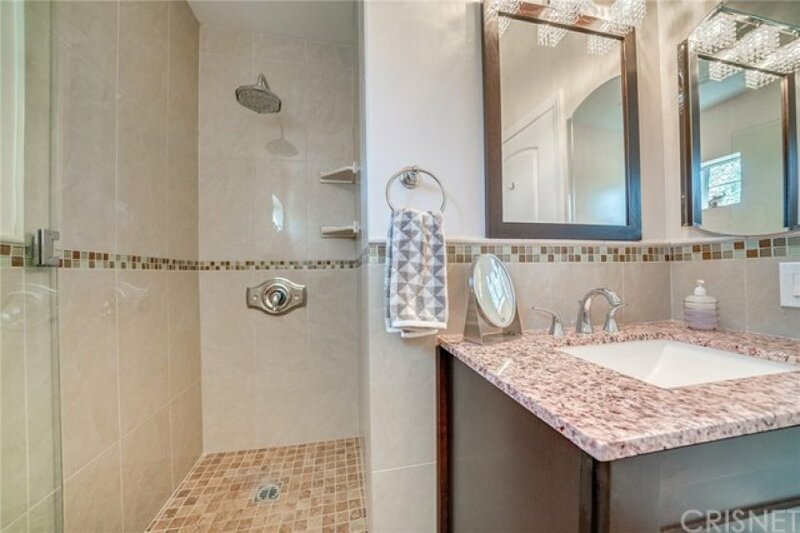 The master bathroom has a modern tile back splash throughout and a large shower/tub combo for your convenience. 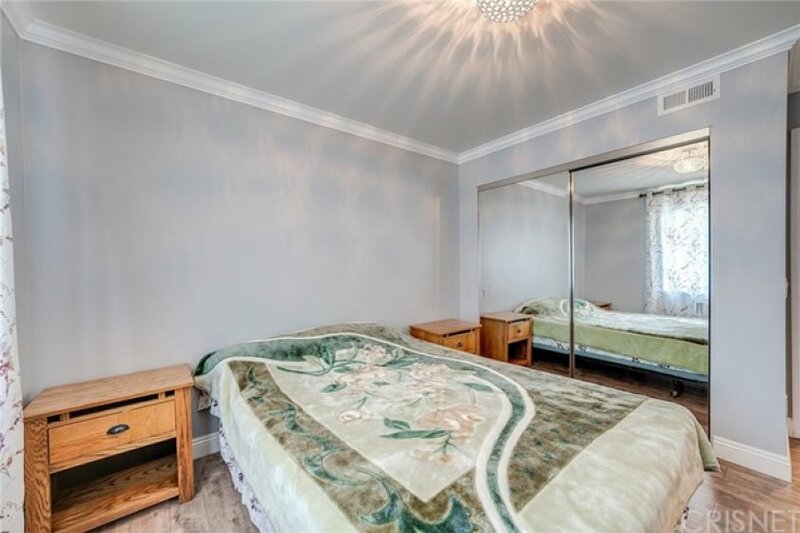 Second bedroom is equally as spacious as the master, with a large wall to wall closet with mirrored sliding doors. 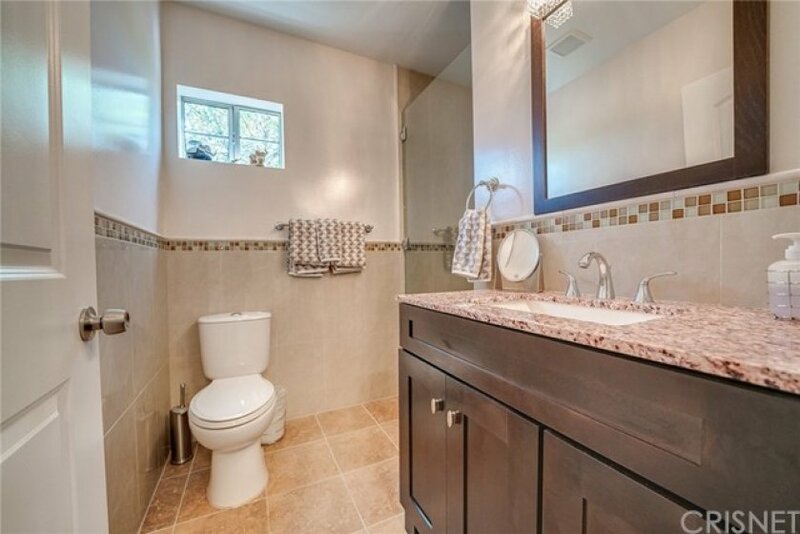 Second bathroom is spacious and modern with a large stand-in shower, complete with gorgeous tile work throughout. The kitchen features stainless steel appliances, large stainless steel double sink, charming wooden cabinetry, and complete access to the dining area with a bay window. Backyard is gorgeous and plentiful with well-maintained landscaping that completely shades the space from the sun, so you can relax with the fresh breeze under the sun. This charming and chic condominium building is perfectly nestled in a great neighborhood nearby many shops and restaurants. Lot Size 14,040 sq. ft.
2 beds, 2 baths, 1,055 sq.ft.